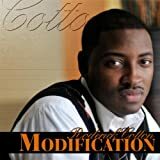 You can listen to samples of the album and buy it here: Roderick Cotton's Modification. Individual songs are also available. Including Butterfly, Document One, Just Listen and others. MP3 Download (June 28, 2008) by Roderick Cotton (Artist). Compatible with MP3 Players (including with iPod®), iTunes, Windows Media Player (on your PC). United States of Mind ~ Horace Silver ~ Take a look at some classic jazz albums that have been remastered and reissued within the past few weeks. Diana Krall, The Girl In The Other Room ~ Singer/pianist Diana Krall breaks new ground interpreting modern standards by Tom Waits, Mose Allison, and Joni Mitchell, as well as compositions by her and her new husband, Elvis Costello.